A woman down the street, Lizzy loves Ethan and encourages him to go get a book from the library. She says the last book left is really good. Now Ethan goes to the Library and sees no book's, how does he have a new book at home? Lizzy got the last book and brought it to Ethan. 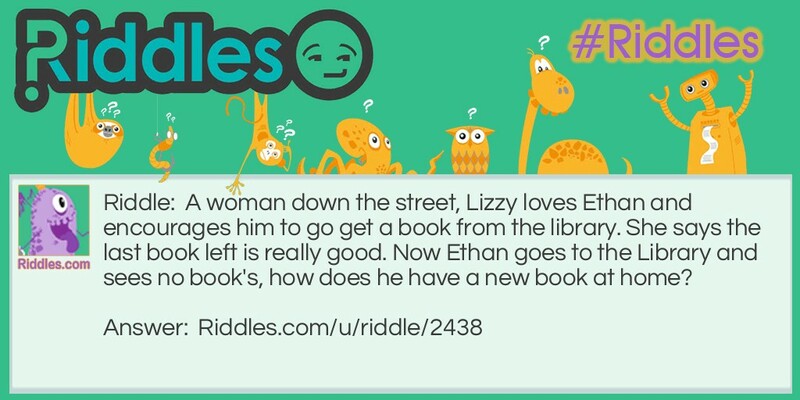 BOOKS BOOKS Riddle Meme with riddle and answer page link.